Compton, California (November 4, 2017) – Transamerican Auto Parts (TAP) is returning to Carlisle, Pennsylvania this Tuesday, Wednesday and Thursday, November 7, 8 & 9 for a three-day Job Fair at Comfort Suites in Downtown Carlisle on 10 S. Hanover St. to staff their soon-to-be-open distribution center, retail and wholesale operations facilities in Carlisle, Pennsylvania. This major expansion of the Nation’s leader in the distribution and sales of off-road aftermarket and performance parts and accessories was announced in September and there remains a need for qualified applicants from the local area to fill the more than 70 positions required to staff the facility and corresponding retail store. The available positions at the distribution center located at 5 Logistics Drive in Carlisle, Pa. include Wholesale Sales, Quality Control Representative, Export Coordinator, Facilities Maintenance Coordinator, Material Handler, Administrative Assistant, Fleet Drivers and General Warehouse personnel. In bringing the total of Transamerican’s national distribution centers to six, once open, the Carlisle DC will provide an essential resource as the company continues to expand its wholesale, retail sales and distribution operations into the Northeast. A 4 Wheel Parts retail store adjacent to the distribution center is scheduled to be opened in early 2018 bringing with it the need to fill multiple essential roles including Store Manager, Assistant Manager, Sales Representatives, Service Manager and shop Technicians. This Carlisle store will join the roster of what today numbers more than 84 such stores across North America. 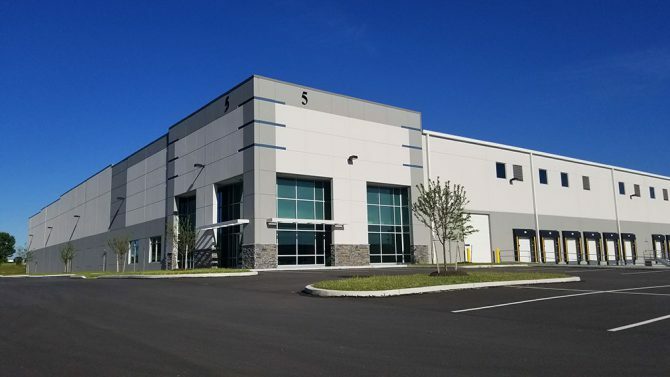 The new Carlisle distribution center promises to offer significant benefits to new and existing TAP wholesale and retail customers such as a reduction in freight costs, more attractive shipping rates and the ability to receive next- day pick-up of the majority of product categories in regional retail stores. The three-day Job Fair will be held at the Comfort Suites in Downtown Carlisle this Tuesday – Thursday, November 7- 9. Representatives from the TAP Talent Acquisition Team will be onsite from 10 a.m. until 2 p.m. and from 4 p.m. until 8 p.m. each day to meet with applicants. “As we near the opening of our largest facility in the region, our team is looking forward to returning to Carlisle this week to visit with qualified applicants and discuss the many career opportunities that we offer with TAP,” concluded Krzesinski. Hours: Tuesday, November 7 from 10 a.m. – 2 p.m. & 4 p.m. – 8 p.m.
Wednesday, November 8 from 10 a.m. – 2 p.m. & 4 p.m. – 8 p.m.
Thursday, November 9 from 10 a.m. – 2 p.m. & 4 p.m. – 8 p.m.